During an interview with OAP, Gbemi O of Beat FM, Wizkidrevealed that his parents found out about his 3rd child on social media. 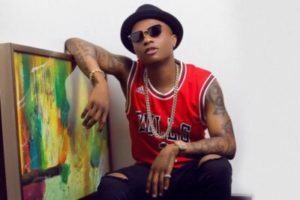 In response to a question on how he reveals the birth of his children to his mother, Wizkid said that he tells his parents that they have a new grand child but the case was different for the birth of his third child, Zion. He said that his parents found out about the birth of Zion on social media.